Hi guys, here's beta 2 real quick. I haven't really done much to the map for a while now but maybe some fresh feedback can help me get motivated again. P.S. let me know if I missed any important files, i'm not sure if I included them all or not. Looks very nice. I like the changes you made since I last saw. Not sure about the yellow bricks on the floor in some areas. 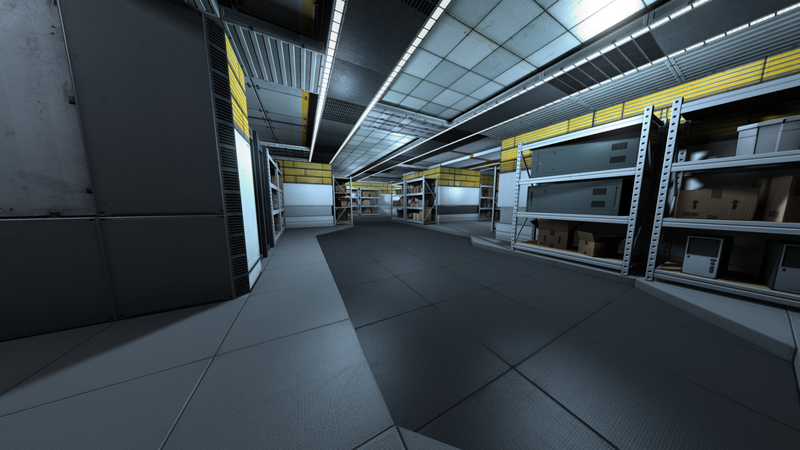 Also, it might look better with more lighting tweaks. It's too much light for the most part....needs some contrast/darker areas here and there. Maybe just reduce the radius of some light ents? Just an opinion. Hi, glad you like the changes. Could you send me a screenshot of the yellow bricks? I'm not quite sure where you mean. Holy shiet, improvements are really gud. Nice work. I'd appreciate feedback on performance, too. I'm looking to optimize the map to an acceptable level, so areas where you are laggy and possible ideas as to how to fix them would be great. Just an opinion though.....dont change it because I mentioned it. As for performance, that spot I took the screenie was the lowest fps I could find in the map. I really like it now, very nice work! !